You know the car commercials where a carefully curated selection of attractive 20- and 30-somethings appear to be on an epic road trip, zooming through city streets by streetlights and skyscrapers; laughing as the wind blows through their perfectly-coiffed hair; eventually ending up around a campfire, swapping stories surrounded by evergreens, their camping gear casually spilling out of the hatchback and into the scene? Well we’ve got a way to deliver the experience, without the $25,000 price tag. Welcome to Rouge National Urban Park. “What is this environmental paradise?” you ask. This is Parks Canada’s plan for the largest urban protected area in North America. A wild landscape, 23 times larger than New York’s Central Park, featuring unspoiled beaches, working farms, bike paths, camping grounds, hiking trails, and lush wetlands – all just a transit stop away. When completed, Rouge National Urban Park will span almost 80 square kilometres, overlapping the cities of Toronto, Markham, and Pickering, and the town of Uxbridge. The spectacular green space will be one of the largest and best-protected urban parks in the world, home to over 1000 plant species, 260 species of birds, 65 species of fish, 40 types of mammals, and 20 species of reptiles and amphibians. This is a nature-lover’s paradise (not to mention a dream for science nerds and anyone with a love of endangered turtles). And we haven’t even gotten to history yet! The park includes sites with over 10,000 years of human history, starting with Palaeolithic nomadic hunters, Iroquoian farmers, and early European explorers, and leading up to the multicultural communities that surround the site today. Through all four seasons there are adventures to be had and natural, cultural, and agricultural areas to explore. 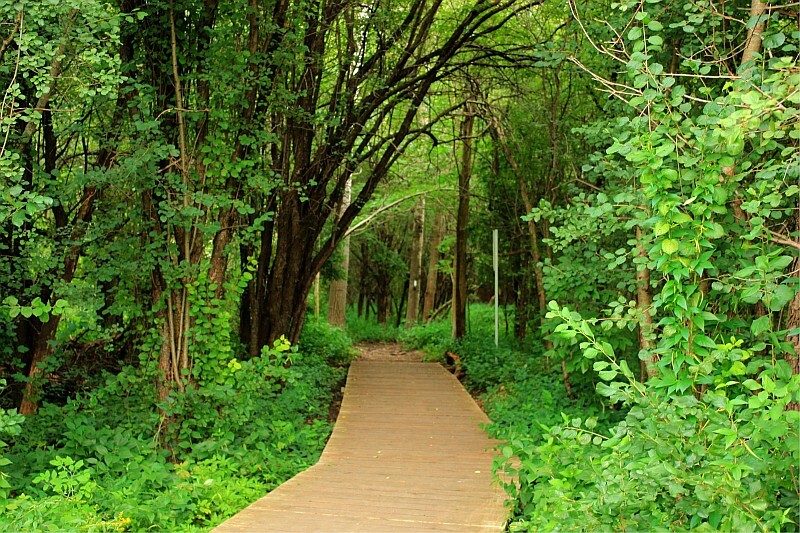 Lace up and go for a trail run or slow your pace for a nature walk on one of the many hiking trails. Nab the catch of the day, everything from Northern Pike to Chinook Salmon and Rainbow Trout. Canoe, kayak, or paddleboard around the Rouge Marsh, Toronto’s largest wetland. Relax on a sandy beach before going for a refreshing swim in the lake. Pedal far and pedal fast on waterfront trails or quiet country roads. Taste test the goods produced on some of Toronto’s last remaining working farms. And don’t forget to spend a night or two roasting marshmallows under the stars at Toronto’s only campground in the city. From fitness to wildlife, nature to new friends, Rouge National Urban Park offers something for everyone. Even without 4-wheel drive.